Ta-daaaaa..Am quite satisfied with the outcome.. There's so many creative things you can do with the little five boxes! Cool~! 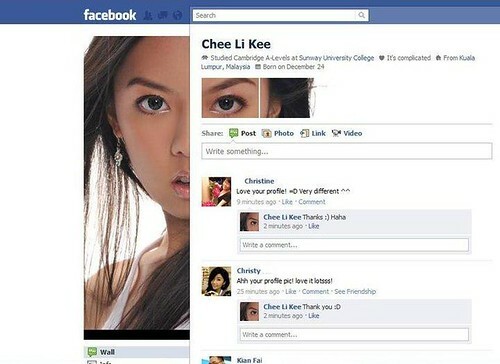 Saw lotsa cool stuff people come up wif FB's new layout!!! Cool, you are creative either!